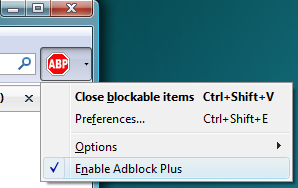 It looks like you have Adblock or other ad blocking software enabled. In order to keep the content of this website free we must display advertisements to support it. If you want to view the content of this website the author wishes that you disable Adblock or any other ad blocking software you may have before browsing the website. This message will go away once the software is disabled and you press the "Back" button. In the top right hand of your screen locate your adblocker and disabled blocking of ads (only temporary).